Empowering Strategies For Piano, Creativity, Caregiver & Spiritual Wellness! 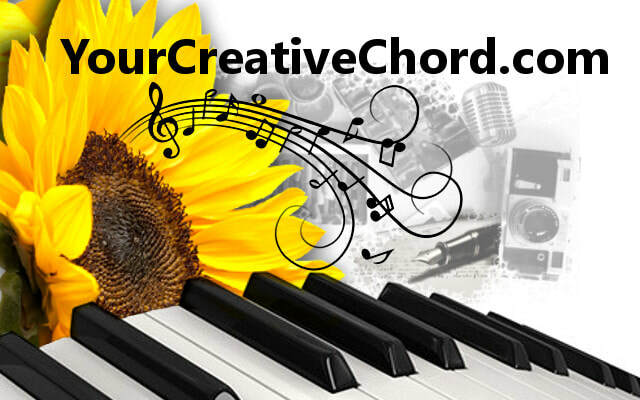 I want to share with you my excitement about my online venture, YourCreativeChord! You may struggle with the things I’ve overcome or wrestle with, so I'm offering working STRATEGIES for tapping creativity and spiritual wellness! Of course, it’s not ALL about struggle! Gratefully! There are also moments and chapters that are all about riding the wave of joyous creative output and spiritual momentum! I’m offering TONS of valuable FREE content on empowering strategies for piano, creativity, caregiver and spiritual wellness. These are MY niches cuz these are all the ways I PERSONALLY express and experience life! Check the ABOUT page to learn more about why these are my niches and why I'm the perfect person to share about them with you! If YOU’RE interested in ONE of these niches, there will be great value coming out for you in my blogs, products and courses! If your life overlaps into MORE than one or ALL of these areas (like MY LIFE does), you’ll be getting great content, products and courses from me in every one of these aspects of your life! I’m excited about these because creativity and spiritual wellness are worlds that EVERY HUMAN has the potential to explore and THRIVE. As an entrepreneur, caregiver, Buddhist, musician, music educator and woman, I have MY particular journey. The reason I’m launching YourCreativeChord is to SHARE what has been and is working for me. To CELEBRATE launching YourCreativeChord, I’ll be having mini-Contests periodically over the next several months. SIGN UP HERE FOR MY MAILING LIST and GET YOUR FREE PDF 2019 CALENDAR AND be automatically entered for a CHANCE TO WIN MY 2019 SPIRITUAL WELLNESS NATURE PHOTO WALL CALENDAR! See the photo cover below! I’m SO excited to see where we go, to learn from you as well, and to share how we grow in our creative, spiritual wellness together. SIGNUP HERE to GET THIS FREE 2019 PDF Calendar featuring nature photos from my 2019 Spiritual Wellness Wall Calendar! CLICK HERE TO BUY your 2019 Spiritual Wellness Wall Calendar! Photo cover by Jenny Leigh Hodgins. LIVE WITH A DANCING SPIRIT! Ayako Hasebe Lloyd dancing Arabian in Lexington Ballet's Nutcracker. This quote encompasses the joyful, hope-filled atmosphere expressed through Lexington Ballet’s 2018 performance of The Nutcracker. I attended Lexington Ballet’s remarkable Sunday matinee performance at the lovely and intimate Lexington Opera House. Whether you’ve seen this famous ballet or not, I encourage you to get your tickets to see Lexington Ballet’s unique performance. Shows are scheduled annually to run through December. The cast’s energetic and passionate dancing, the colorful array of gorgeous costumes, and the romantic settings and props will put even Scrooge or The Grinch in a festive mood. E.T.A. Hoffman’s story, The Nutcracker originated in Russia. Composer Peter Tchaikovsky wrote the music. Tchaikovsky’s music is now famous and recognized by even the youngest of listeners, thanks to technology, cartoons, and commercials. But experiencing Lexington Ballet’s live performance is one of the best ways to re-introduce or expose audiences to the real deal. 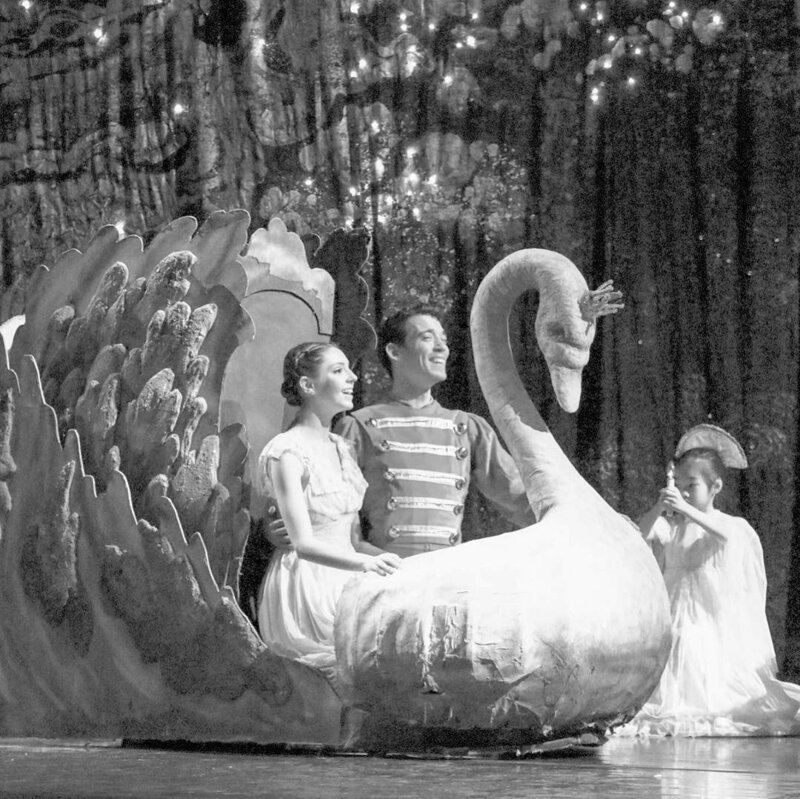 The Nutcracker was originally choreographed by Marius Petipa. It was commissioned by Moscow’s Imperial Theatres director, Ivan Vsevolozhsky, in 1891. In sync with the story’s historical premier the week before Christmas 1892, the Lexington Ballet’s version opens with a family Christmas party. The story is about young Clara’s Christmas Eve, and her dreamy perspective of the world and romance. I’ve seen the ballet several times, performed by visiting international dance troupes, as well as the televised 1977 American Ballet Theatre production featuring Mikhael Baryshnikov and Gelsey Kirkland. But, Lexington Ballet’s show stands out as special for several reasons, including the pure innocence bursting forth in a way that only young people are able to express. The nearly tangible love and joy penetrated my adult heart and moved me to tearful emotion throughout the entire show. I was touched by the unlimited hope and passion for life symbolized by these talented young dancers, as they clearly poured their entire beings into each dance. It’s the youngest cast I’ve seen perform The Nutcracker. 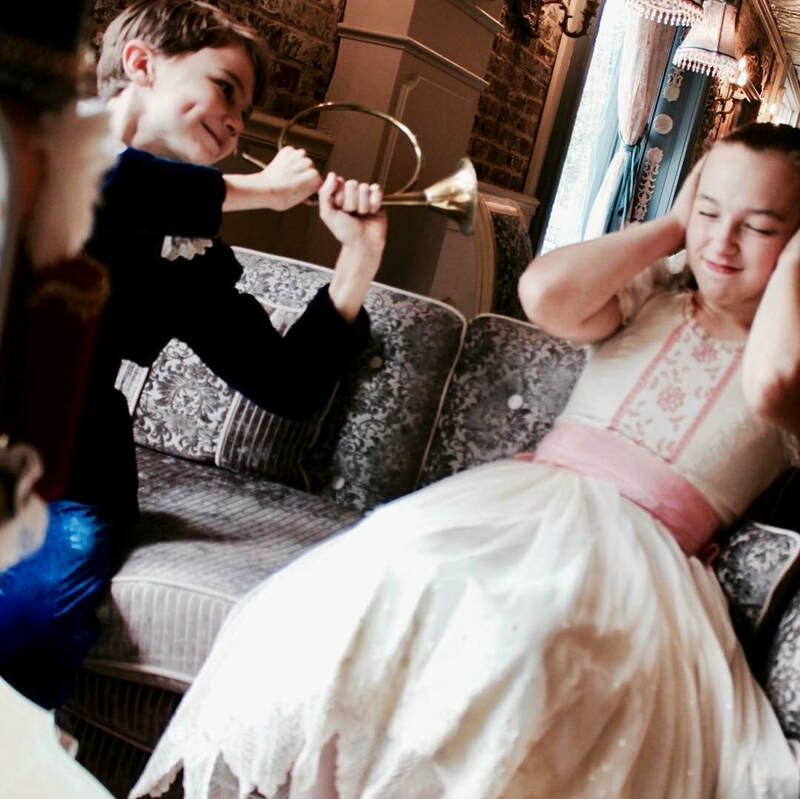 Elementary age children portray mischievous party guests at the opening Christmas scene. They also dance in well-coordinated groups of ‘mice’ and ‘toy soldiers.’ Their focused, harmonized movements impressed this former music educator, who knows well the challenge of training youth for performances. 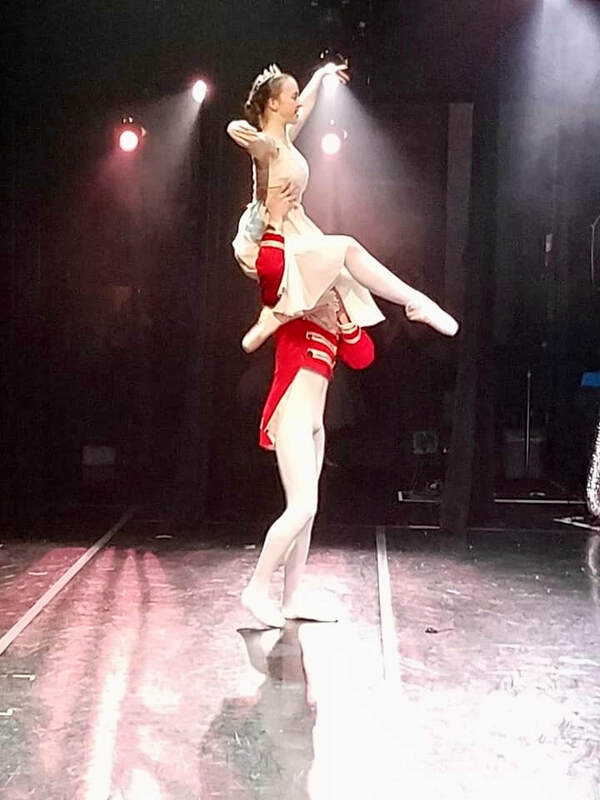 Contrasting to how audiences recoiled from seeing children on stage at The Nutracker’s Russian premier, Lexington Ballet’s masterful inclusion of their well-rehearsed presence added to the magic of the uplifting stage drama, creating the illusion of real characters. 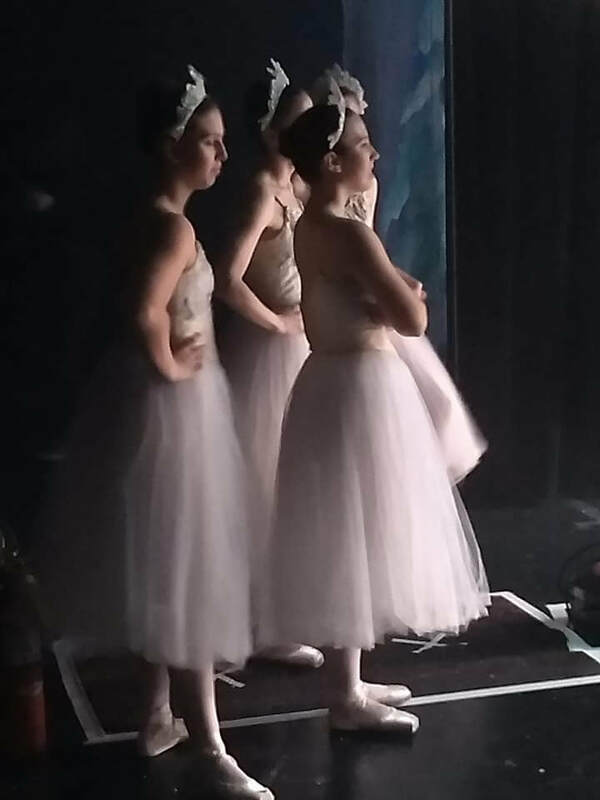 Lexington Ballet’s dancers range from elementary age through junior and senior high school to the ensemble and professional cast’s millennials, capping at early 30s. This wide-range of youth adds to the boisterous energy of their show. That youthful energy is one of Lexington Ballet’s signature drawing points. The unlimited power of youth is palpable in their dance performances. Witnessing the expressive, energetic drive of these young dancers pierces the heart with hope and love. Speaking of stellar young talent, ninth grader Anna Karen Kinghorn’s portrayal of Clara was mesmerizing. Her delicate, graceful moves, along with her radiant innocence and cheer made every one of her performances a sheer joy to watch. Rounding out the opposite spectrum of the age range was her able, gifted partner, Lexington Ballet Company cast dancer, Casey Myrick. Myrick portrayed Clara’s father in the opening scene, and the Nutcracker Prince with a dignified, dramatic, yet benevolent power, both in dance and demeanor. The partnership of Myrick and Kinghorn’s dances was natural, smooth and seemingly effortless. Lexington Ballet’s show involves a diverse cast, spanning many ages, cultures, body types, and dance styles. Kudos to the artistic director, Luis Dominguez, for his incredible gift for choreographing each scene, style, and for pairing dance partners in a way that allows each cast member to beautifully shine. That is no small accomplishment, as the program notes show the shuffling of two separate casts, denoted by colors (red and gold) and groups of young children. Dancers are assigned unique roles depending on which color the performance will feature. Lexington Ballet Company dancer, Ayako Hasebe Lloyd exquisitely performed as the dainty Dew Drop Fairy in Sunday’s matinee show, but will instead dance the Arabian for Red shows. The story unfolds seamlessly as cast members alternate capably and believably from solo roles to ensemble dances. The artistic vision of Dominguez is orchestrated beautifully as exhibited by both ensembles and solo dancers. Alexandra Orenstein’s sumptuous version of the Arabian dancer was electrifying, colorfully capturing a sense of the unusual aspect of a different culture. 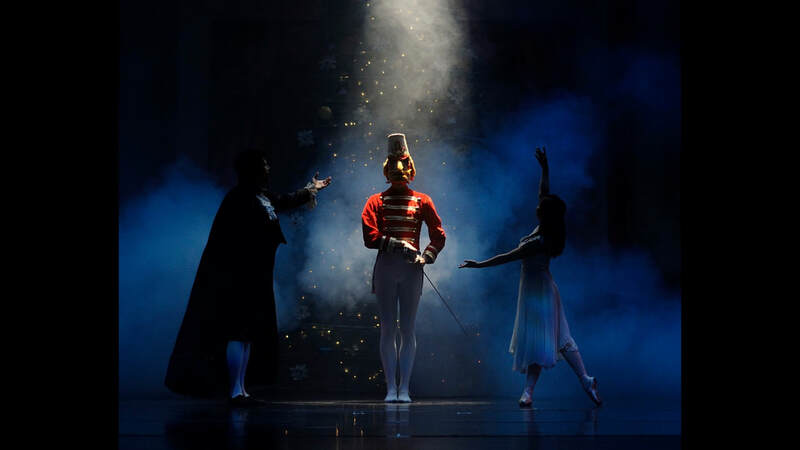 The Lexington Ballet Ensemble, and all the soloists in The Nutcracker, performed wonderfully, and depicted a spirited, lively spectacle of a magnificent drama. Photos courtesy of Lexington Ballet. 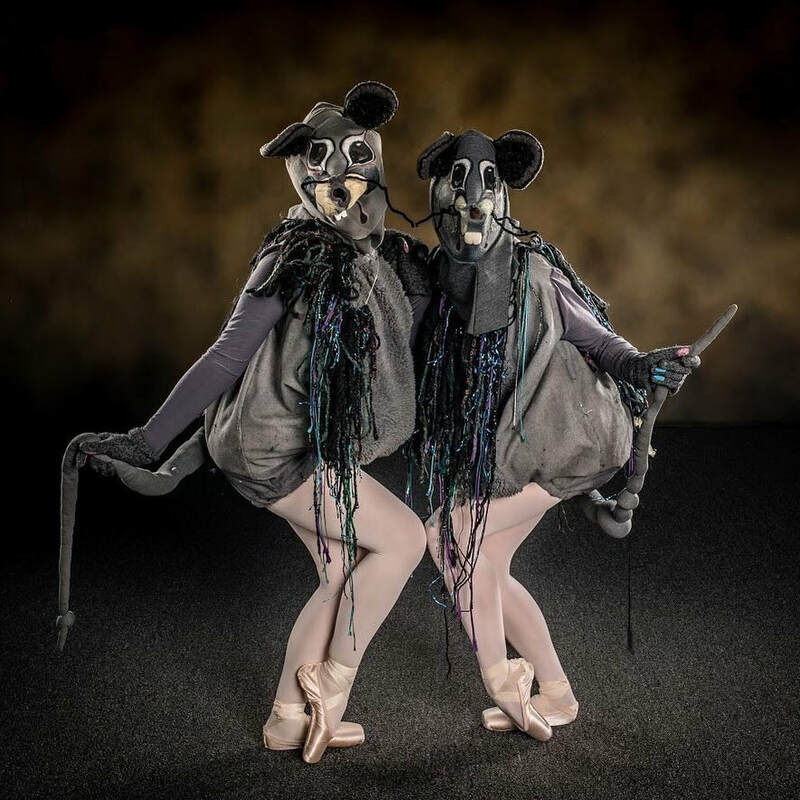 Rat dancers photo by Mark Mahan. As an audience member, taking in the artful explosion of pure passion from the Lexington Ballet dancers left my heart full. What better way to enjoy the Holiday Season than with the spirit of hope, community, and enthusiasm for life that these dancers represent? ​Sign up for more info about Lexington Ballet Company program and events. ​Lexington Ballet Company is a professional dance company and a ballet school with non-profit 501(c)(3) status since 1975. The Lexington Ballet’s mission is to present high caliber productions, educate youth in the art of ballet, and engage with the community through outreach. Lexington Ballet offers classes ranging from kindergarten through adults. They support a variety of community alliances, including in-School Programs, For Educator Field Trips, Countdown to Kindergarten and Scholarships. Bring your school, church, or group to a performance! Special performances are scheduled during weekdays so that schools and non-profit groups may attend. Each performance will have a detail introduction and question and answer time with the Artistic Director and performers. These programs meet Kentucky Core Academic Standards (KCAS) for Dance and Theatre. Study guides are available in English or Spanish(if requested in advance). Find more Nutcracker books, CDs, DVDs, here. Get more inspiring content when you join the mailing list at YourCreativeChord.com! Lexington Ballet Company dancing choreography by Dancer, Alexandra Orenstein, October 27, 2018, LexArts. My mother and I attended New Works and Other Voices, a free performance by the Lexington Ballet Company, Saturday, October 27, 2018, at LexArts on 161 N. Mill Street, Lexington. I had no idea what to expect, as I was unfamiliar with the program. From the moment Lexington Ballet Artistic Director, Luis Dominguez spoke, I knew immediately the audience was in for a robust explosion of cultural spirit. As he introduced each choreographer, musical background of each composition, and the meaning behind each dance, his love and respect for art was exuberant. The featured choreographers are also company dancers and instructors at the Lexington Ballet. As each one spoke before the cast’s performance, the heartfelt sincerity and passion for dance was palpable. But the dancers’ performances topped that. Beyond demonstrating a graceful physical flexibility, they overwhelmed the room with youthful passion, and shared their hearts through dance. It is rare to attend a concert that rises above technical mastery to resonate directly with the heart. But Lexington Ballet Company cast did just that, with every performance of the concert. I don’t know anything about dance. But, I gathered from each selection of the concert, that these young people have vigorously worked to overcome their physical limitations. That was obvious from their movements, and their polished achievements are worth the spotlight of attention. The colorful costumes changed throughout the concert, adding oomph to the visual cultural expression onstage. The unity of the dancers was impressive. They created a harmoniously flowing motion with bodies of different shapes, heights and age. They made it look easy. The atmosphere within the room transformed through the purity of the energetic dancers. In today’s world filled with self-inflicted barriers, darkness and disunity, Lexington Ballet’s performances immersed the audience with spiritual and emotional therapy. The power of their artful dances, evidently rooted in the expression of each artist’s heart and soul, led the audience through an array of emotion. This is a strong factor in the argument for arts promotion. Lexington Ballet Company’s program offers solid training in dance to youth. But observing their concert last Saturday, they go far deeper than that. They provide their dancers with holistic development toward becoming true artists. I cannot think of a single thing our society needs more than raising capable, spiritually empowered youth. The development of young artists connects wellness of mind, body, and spirit. Experiencing art as a performer or audience member is rehabilitation for the soul. Art is a great place to start in our complicated world, toward building bridges between humans. Art is healing and energizing for all, as it is a collaboration between humans in the most vulnerable form. Choreographer/Dancer Casey Myrick introduced the first piece, Anxious Desires, by musician Sufjan Stevens, which featured modern dance movements grounded in classical dance styles. Myrick said the work was inspired by a Buddhist concept about anxiety stemming from desire and how anxiety can actually work to fulfill our desires. The performance was a unique, outside-the-box mentality of dance that evoked discomfort lending to intrigue. Dancers bodies and expressions emoted fear, doubt, distress, and finally, resolution and relief. Choreographer/Dancer Alexandra Orenstein introduced UnderTones, her work set to an excerpt from jazz composer, Keith Jarrett's solo piano work, Lausanne Concert. The improvisational music builds on a rhythmic droning, with Jarrett’s infamous knack for outflowing melodic lines. Orenstein’s organic, abstract modern approach to movement for each dancer emerged naturally, in sync with the music’s pulsating crescendo and layered texture. Dancer/Choreographer Ayako Hasebe Lloyd, of Lexington Ballet Company, Photo by Sherrill Moody. ​Talented dancer, Ayako Hasebe Lloyd’s stunning entrance in a bold red dress, and her ensuing solo dance to Sand, mesmerized the audience. Luis Dominguez and Lexington Ballet School Director and Ballet Mistress, Nancy Dominguez "developed the collaborative piece as a pas de seul”2 for Lloyd. The first section of the dance, Sand, was set to Luis Ni’s G Minor Bach, and choreographed by Nancy Dominguez as an homage to her mother, who passed away with Alzheimer’s last year. Next, Zoom-Out, set to a song by Drummond Dominguez, was choreographed by Luis Dominguez. Lloyd’s movements were elegant, bursting with passion tempered with artistic maturity that shook the room with her life-force. 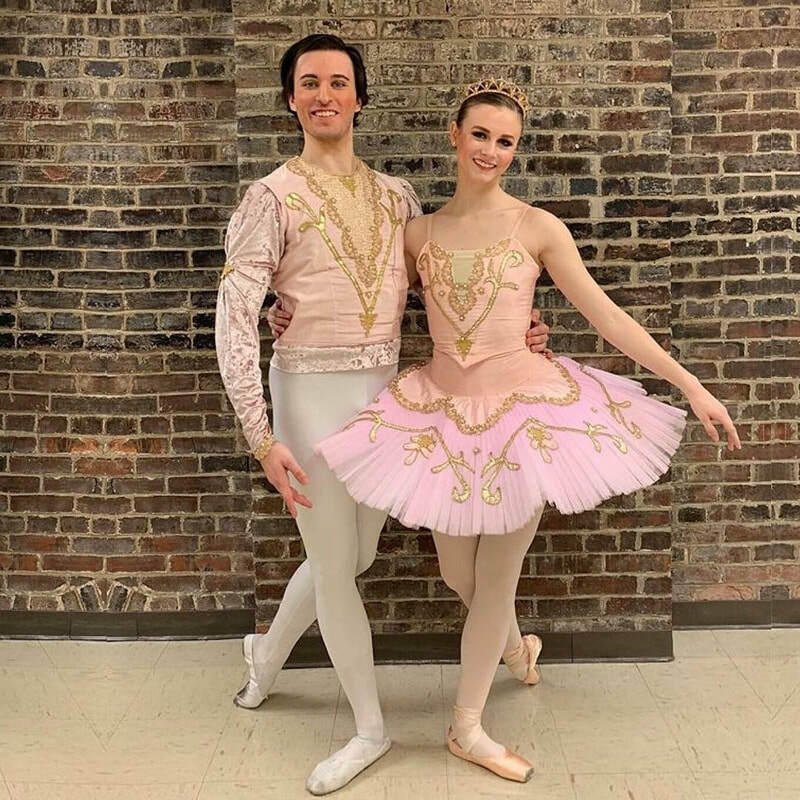 Lloyd’s commanding performance segued fluidly into Kaylie Conner and Sean Sullivan’s romantic Pas de Deux, performed to Nightflight, by Drummond Dominguez and Ethan Gustavson. The performances, highlighted by vivid red costumes, led flawlessly to the final group piece choreographed by Nancy and Luis Dominguez, to Fernando Delgadillo’s La Inspiration. ​​​We went well beyond small talk to discover that the couple behind us had a 28-year old son who’d been diagnosed with 4th-stage cancer. This led to our sharing that we had lost my 28- year old brother to a car accident in 2004. We opened up and shared honestly with each other in the short dialog. We took our seats as Lloyd introduced the meaning behind her choreography to Our Blue Hearts by Japanese composer, Joe Hisaishi. “This work is inspired by the blue stained-glass hearts that hang in the Lexington Ballet studio windows as a memorial to a past student.”3 The dance featured the largest cast of the evening, and in particular, the youngest performers. Lloyd talked about how the personal loss of her brother inspired her choreography. She shared warmly how grief affects many, and it was her intent that the piece would help audience members cope with loss and feel supported. Her introduction and the dance performance were mystically in sync with the conversation my mother and I had with the couple behind us. Lexington Ballet Ensemble performing choreography by Ayako Hasebe Lloyd. Photo by Sherrill Moody. ​​The choreography and dance were deeply touching. Depicting the sorrow of loss as relationships end, the stage evolved from soloists to exponentially growing numbers of dancers exhibiting grief through facial expression and movement. As Hisaishi’s music progressed with a symphonic swell, a solo dancer was hoisted atop a group of dancers, like pallbearers carrying the deceased. The audience was moved by its emotional intensity. The dancers, in delicate blue costumes, swirled onstage from scene to scene, ending with a harmonious, joyful, full cast of camaraderie. It symbolized, to me, the victory over tragedy with the power of friendship, community, and spiritual transformation. My words do not do justice to the eloquence and impact of the Lexington Ballet Company performances. “We can know a country’s rise and fall by whether its tones are happy or sad.”3 The Lexington Ballet Company's display of artistic beauty, poise and soul expressed the gamut of moods, yet landed on the joyous, the united and hopeful. Lexington Ballet Ensemble 10/27/2018. Photo by Sherrill Moody. Lexington Ballet Company is a professional dance company and a ballet school with non-profit 501(c)(3) status since 1975. 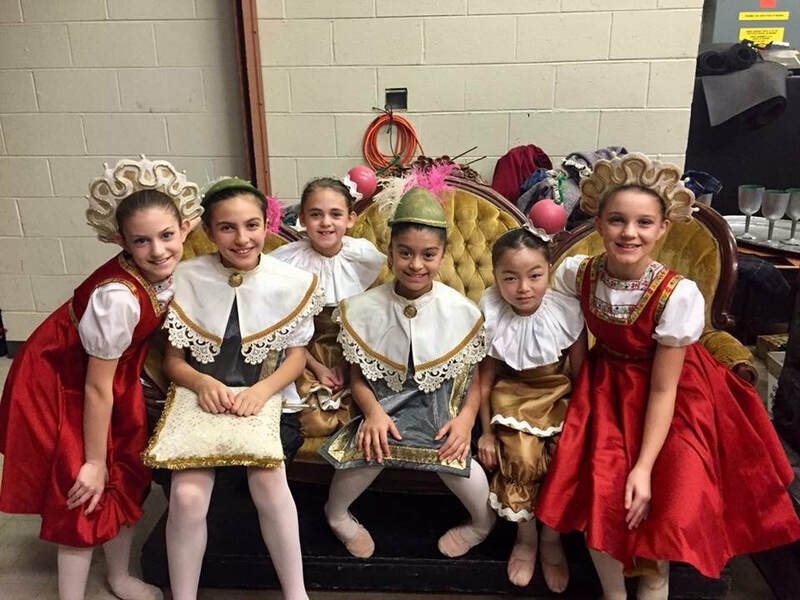 The Lexington Ballet’s mission is to present high caliber productions, educate youth in the art of ballet, and engage with the community through outreach. 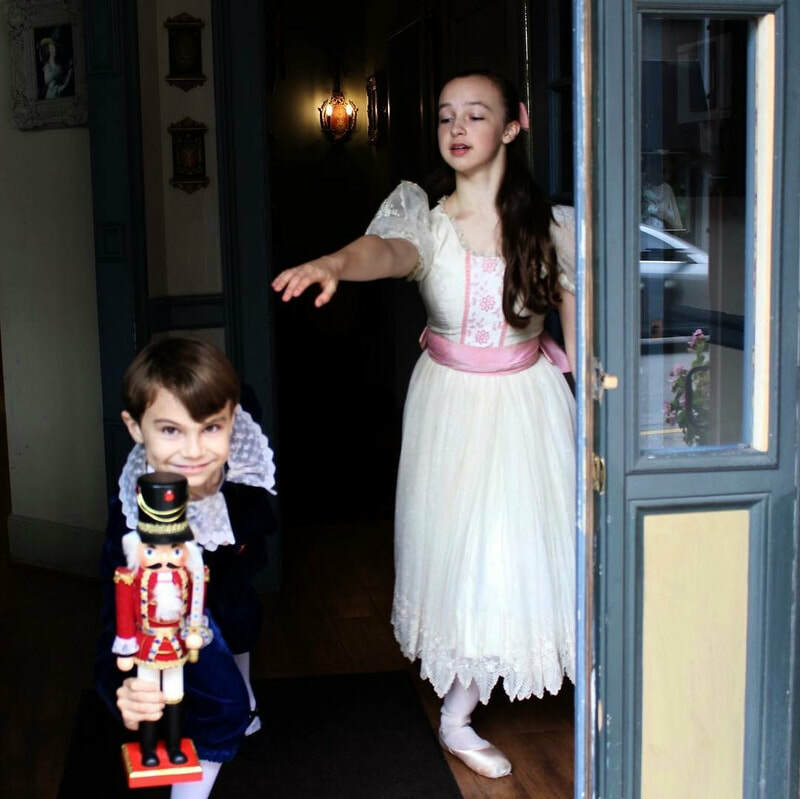 Lexington Ballet Company will perform The Nutcracker at 2pm and 7:30pm December 14-23 at the Lexington Opera House. Tickets are available at Ticketmaster from $22-49. Sign up for more info about Lexington Ballet Company program and events. Click here to donate via PayPal to Lexington Ballet Company. Click here to learn more about how you can support Lexington Ballet Company. ​Like, comment and share this blog with others. Plenty of adult music students have told me that they were not creative. I’ve always responded, ‘Nonsense!' Everyone is creative. Some of us have learned to tap it more naturally than others. Anyone who knows me uses the word creative to describe me. I write, compose, play piano, improvise, sing, garden, decorate, take photos, present, tweak a lesson for my students in mid-stream, and more. The point is that I know how to be creative. Ideas, thoughts, patterns, melodies, words, drama, and humor burst forth from me as an unstoppable fountain. Incidentally, I’ve never met a child who was not able to be creative. Young people are fully tapped into the creative dimension. They need no map to get there. Adults, however, are a different story. We lose our way sometimes, due to pressure from our daily responsibilities. Give up caring about the result. You can think about that later. To get your creative juices flowing, let go of your expectations. Once you can loosen up on that, the real source of originality will become accessible. Take off your head. Don’t think about structure, the rules, or what you know. If you start thinking or judging your ideas, throw the judgement into an imaginary balloon and send it off into the vast sky. Goodbye. Tap into your heart, your soul–what you believe in and care about. Let everything come from that inner compass. Once you can channel directly from your core, your purpose, your spirituality–your unique truth will freely spill out. The more you connect with your inner voice or faith–the more readily your pure, yet wiser self will lead the way. Just follow your intuition and let your journey take you where you’re going. You don’t have to know where you’ll end up for now. Be confident it will be someplace cool. Open up your courage. Address your creativity as an adventure into your deeper existence. Go forward with humility to learn and to be true to yourself. Go forth willingly to be taught and led. If you lose focus and begin to feel limits due to ego, shake it off. Reconnect to the primary purpose; communicating with your creative life. Communicating through your creativity to reach a connection with others. ​Enjoy your process and Viva La Vie Boheme! The more I thought I knew about teaching music to elementary students, the less I felt I knew. After every summer, I'd have a panic attack. I felt I had completely lost all ability to teach anything. I felt like a total novice. I drew a complete mental blank about where to start preparing for students. I pushed myself to start things rolling with the most basic ideas to welcome students. I started with the intention to spark a love of music in them. I decided on the clear, simple goal to create a climate where they felt comfortable to be themselves. I crammed to find the time for lesson plans based on the required music standards. I morphed my resources of activities into actual structured lessons for the classroom. My job required me to focus on implementing national teaching standards. This aimed my lesson planning on engaging students to function and progress through each learning goal. My lessons were also geared to help students develop skills to use and comprehend specific music vocabulary. I discovered that the true teaching moments arose from something unexpected and unplanned. I had a few of those moments in various classes. When it happened, it was such a delight. What was that? It was the transformation of the music classroom. The atmosphere changed with inclusive connections between student to student, teacher to student and the lesson content. When the students laughed, their eyes lit up, and their brains became ultra-alert and attentive, I felt like a superhero character. I shed my identity as a panic-stricken wanna-be to emerge as a wise educator. I awakened. My students taught me what is essential in the classroom. Those magical moments when students felt my energetic passion for both the subject matter (music), and my sincere care for their educational progress. When it happened it was a period of sheer enjoyment, trust and camaraderie. Both teacher and students arrived together at the pinnacle of the most treasured part of our daily lives in the classroom; learning. ​I am transfixed by the simplicity of this lesson; that learning should be fun. That’s what being a kid is all about. In a reality that is deeper than what is visible to the eye, the true lesson is that my students taught me. Like, comment and share this blog with others! Thank you! Get more inspiring content when you join YourCreativeChord's mailing list! In my CREATIVITY blogs, you’ll find tips for exploring creative flow, and inspiring content related to the inherent challenges and tremendous joy within the creative process. Explore the Creativity drop-down menu at the top to find more quality content on composing and Interviews with creative professionals!